La Petite Reine - the Little Queen - is an affectionate nickname for the bicycle in French. 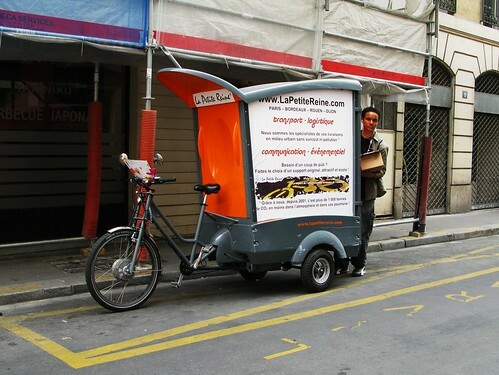 It is also the name of a transport company that uses the cargocycles above throughout Paris. Wonderful pedal-powered design, although they also have a battery assist for heavy loads and hills. The company also uses Christiania Bikes in their fleet. 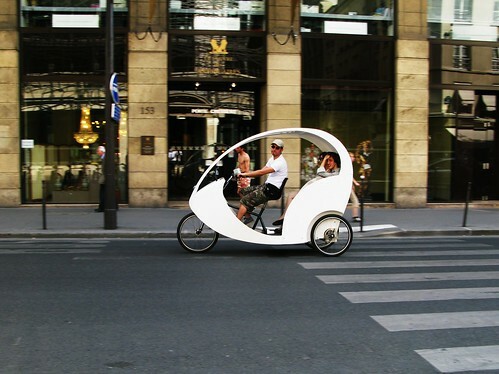 And these bike taxis are also popular on the streets of Paris. Very cool design, as well. 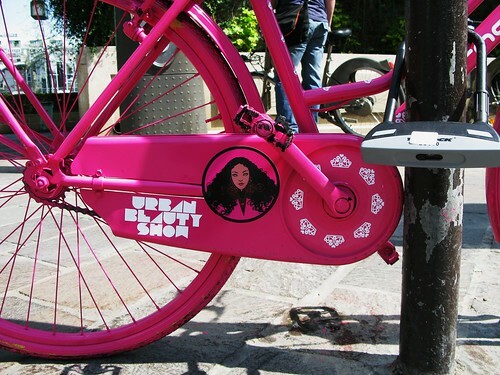 And with the birth of bike culture, advertising changes form, just as we've seen in other European cities here on the blog.